P aul Maher Jr. is a Texas-born author, teacher, screenwriter and book critic, who has written books on Jack Kerouac, Miles Davis, Henry Thoreau and Tom Waits. 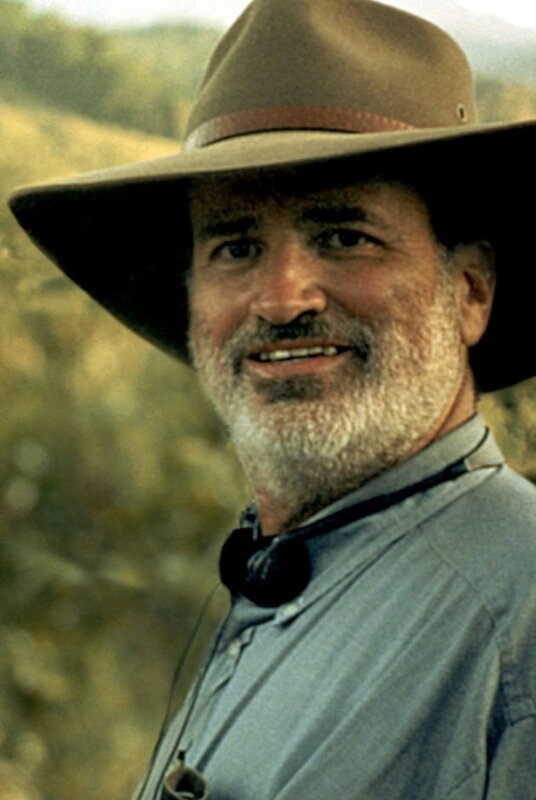 He recently published 'One Big Soul - An Oral History of Terrence Malick' (2012), a book that is an essential companion to obtaining a deeper understanding and appreciation of the filmmaker's ouevre and artistry. Paul also runs the Malick site http://www.terrencemalick.org/. I spoke with Paul about Malick and the book. I have a Bachelor's degree in American Studies and a Master's in English and Education. Can you talk about your previous books? My first book was an in-depth biography of writer Jack Kerouac, which was followed by two more books about him. I also edited three volumes of books on Miles Davis, Tom Waits and Terrence Malick. I also have an ongoing project transcribing Henry David Thoreau's unpublished notebooks, which he titled 'Extracts Related to the Indians'. That's about 500,000 words worth of transcribing. I also have a number of screenplays written, one or two of which I plan to film myself. I delve somewhat in nature photography and whatever else strikes my fancy. I believe in following my muse wherever it may lead. What made you decide to write a book on Malick, and to do it as an oral history? The books on Terrence Malick that have been written thus far are academic in nature. They tend to try and dissect his films through a philosophical prism, which isn't altogether apt. I wanted to know more about where he came from, his roots, how he found himself as a person and evolved into film. Why do you love Malick as a filmmaker? I believed all the way back to DAYS OF HEAVEN (1978) that he was tapping my mind in a way that was beyond explaining. I was bored with American film, and have always felt traditional filmmaking is too forced. It's actorly. Now its fraught with CGI and so on. Malick reminds me of Henry Thoreau, whom I also admire. The fascination with nature and the binds between the universal and the personal brought home a powerful message and he managed to do so in a sensational way. I also admire not using dialogue. Many times, when he does use dialogue, my interest flags. He is the first filmmaker to catch my eye doing that. Later it would also be Andrei Tarkovsky and Bela Tarr. Why did you go for 'One Big Soul' as a title? It was the one phrase that most anybody that has seen a Malick film can identify with, and is from THE THIN RED LINE (1998). It sort of encapsulates the entire corpus as well . . .
What was your first experience of a Malick movie? Can you talk about your impressions?Though I did see DAYS OF HEAVEN sometime in the early 1990s, the first film that left an indelible impression was THE THIN RED LINE. It was the fact that I had to think about it, that it had an enigmatic air to it. The moodiness of the music. The voiceovers, hushed and haunted as they were, tapped into my consciousness which was largely jaded at that point and time. It stuck more than any other film I had experienced up until that time. How long did it take for you to compile all your research? Two years or so. It started very slow. People didn't want to talk. I learned not to target the actors for two reasons. #1 they really have little to say they won't say in interviews during press junkets. #2 They have the most fidelity toward Malick, protecting his persona and such. By targeting the others that were there also, their perspectives, I found out, were equally if not more valid than the people in front of the camera. How did you find the new interviewees? Did you find many were willing to talk? Did many refuse? The Internet yielded many resources. If one cracked, he/she would know others. More were reticent to speak than those that were in the beginning stages, which put the book off for a long time. They were all under confidentiality clauses, so I understood their hesitation. I found a lot of anonymous information from extras and film production members. Nowadays, I have many many people to interview. I have enough to double the length of the book, which I may do if demand calls for it. I've already spoken to twenty two people since starting 'One Big Soul'. What was the common theme for people discussing Malick as a man and filmmaker? Through and through, it was that he was gentle, learned, tenacious and a genius. That was the common thread. There were others with contrary opinions, most of which I didn't include because I felt these opinions to be no more than sour grapes. How did the final results of your research compare with any preconceptions you had of Malick? I felt they were spot-on. Anything I was attracted to in regards to Malick's films before the research of the book was only further substantiated. In your research, which drafts of Malick's filmed and unfilmed screenplays did you get to read? Due to the generosity of the film's producer Bobby Geisler, I was able to read all of the drafts for THE THIN RED LINE; two drafts of Malick's stage play 'Sansho the Bailiff'; and two or three drafts of his film script, 'The English Speaker'. I was also able to acquire the script for 'Qasida' which resembles more a prose-poem as well as many notes. What were the major differences between the different drafts of THE THIN RED LINE? Basically Malick streamlined it a bit more and more, losing dialogue, adding more descriptions and so on. Of all the unfilmed projects, which ones do you think hold the most promise? 'Qasida' will find new life in 'Voyage of Time', whenever that comes out. The treatment for 'Qasida' is virtually identical to 'Voyage of Time'. However, I love 'Sansho the Bailiff' more than the others. Many themes found in 'Sansho' were recycled in THE THIN RED LINE. What do you consider Malick's main strengths as a filmmaker? His main strength is that he stuck to his guns, he believed in what he had to say and was/is tenacious enough to see it through on his own terms. What are Malick's best films? Which one do you have the most personal connection to and why? I believe his best is the extended cut of THE NEW WORLD (2005). I believe that is the first film that he really found his groove, and was able to experiment more in regards to sound/music/editing. I believe I will feel the same whenever Criterion releases the extended version of THE TREE OF LIFE (2011). 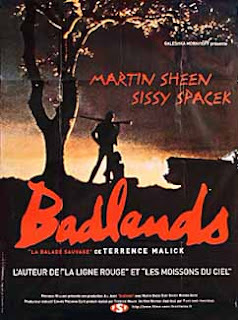 How do you think the gap between DAYS OF HEAVEN and THE THIN RED LINE changed Malick as a filmmaker? I'm not so sure he changed. How do you feel about the negative reaction to his post THIN RED LINE films? Is it justified? What do you see as Malick's flaws as a filmmaker? I don't know. I don't care about other people's thoughts on his films. It doesn't matter to me. People that do care seem to need that validation. I wouldn't call them flaws. I really believe that the films have an absolute fidelity to his personal vision. If people perceive them as flawed, it is because they already have preexisting baggage and expectations for the film. That's on them, not Terrence Malick. He no more cares about their criticism than he does the praise. They just are what they are. Do you think if Malick revisited his old films and re-edited them that they would be changed significantly? I believe he could revisit all of them and bring out something new and original, a different perspective that wouldn't make them suffer. Which moments in his films strike you as the most poignant, memorable, key or beautiful? I don't know how to answer that. I respect them all as an organic whole. Each film is part of his larger organism, with tropes and motifs that are important to him. What feedback have you had on your book? Mostly positive. I had some flack for the mechanical errors. I worked like a dog putting that together, alone. I researched, wrote, edited, typeset, copyedited, proofread and published it alone. There are and always will be errors. 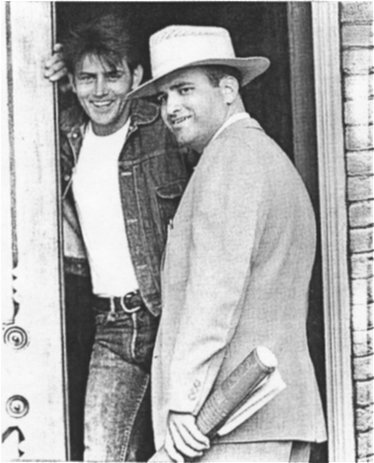 I put the book out alone after many publishers stated that there was no market for a book on Terrence Malick. Obviously there is . . .
How would you approach any further books on Malick? I would use the same approach. I think the oral biography works best at this point and time since thankfully Mr. Malick is still among us and that the personal eyewitnesses will serve posterity. I corresponded with Paul via email during March 2013. I'd like to thank him for his time. 'One Big Soul' can be ordered here. It's also available as an affordable e-book from Amazon.